My Something Blue VoxBox from Influenster included Q-tips Precision Tips cotton swabs, which have a pointed edge on one end and a more rounded edge on the other. 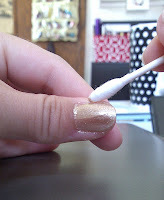 These little swabs are the perfect beauty tool - use it for smudging eyeliner, perfecting lipstick, or - my favorite - dipping the tip in nail polish and removing excess nail polish from cuticles. The pointed tip is also perfect for creating polka dot nail art. 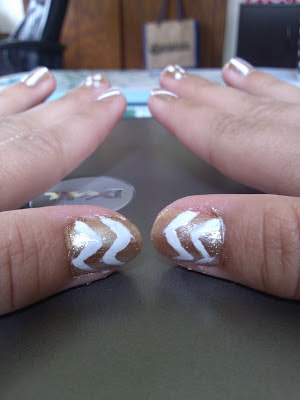 I made my first attempt at creating some nail art using gold shimmer and white nail polish. I made chevron stripes, polka dots, and other designs. I did make a few mistakes when using my left hand (hate that!) but I was able to use the Q-tips precision swab to correct my mistakes and erase any polish that got "outside the lines". 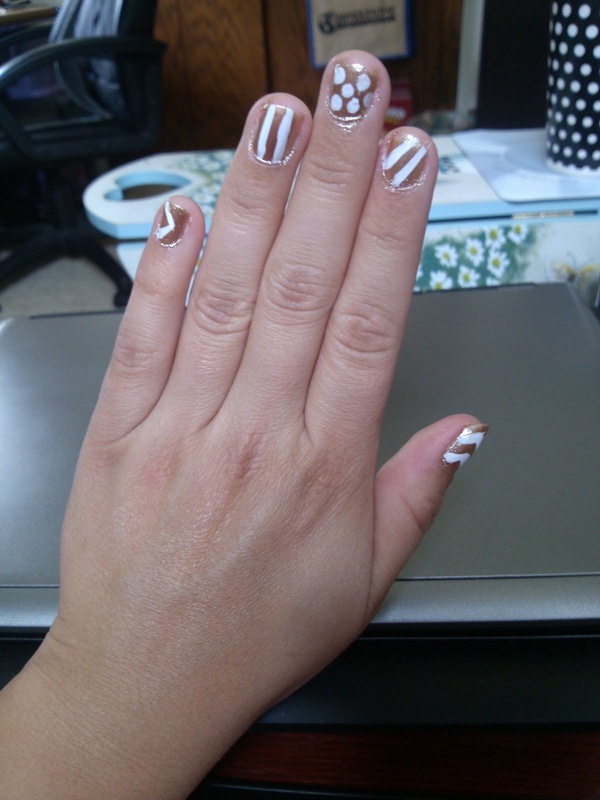 It helped so much to have this little beauty tool, and I think my nails turned out great! Whitening Stained Nails Dip a Q-tips® cotton swab in a mixture of baking soda and hydrogen peroxide swabbing over fingernails. Rinse after 3 minutes.